At last I got my bottle of Highland Park and my bottle of Glenugie, the last whisky to have one whisky from each distillery of Scotland. Yay! There�s a new Knappogue Castle Irish Whiskey hitting the shelves. This one is a 1994 vintage and it�s limited to 1,000 individually numbered, hand-signed bottles. Nose (80): inexistent. light, sweet barley, mango, banana, some vanilla, a bit sherry. First nosing data is innacurate as the previous tasting sheet lacked of this field. Palate (84): . hot, sweet for a second and then dry, wood, vanilla, grass and dry again. Bouquet data is innacurate as the previous tasting sheet lacked of this field. Finish (76): no finish. floral and vanilla, a little sweet and some wood. Finish length is innacurate as the previous tasting sheet lacked of this field. So based on other whiskies I have already tasted I rate this Knappogue Castle 1994 with 80 points over 100. Nose (88): inexistent. grain, malt, fruit: grapes, some sherry. First nosing data is innacurate as the previous tasting sheet lacked of this field. Palate (92): . sweet, honey, wood, vanilla, something toasted, hot. Bouquet data is innacurate as the previous tasting sheet lacked of this field. Finish (88): no finish. grapes, sweet, spices: pepper. Finish length is innacurate as the previous tasting sheet lacked of this field. So based on other whiskies I have already tasted I rate this Tyrconnell Irish Whiskey with 89 points over 100. An 8 year old single malt whiskey from the Cooley distillery. Locke's is a very malty Irish blend. Nose (80): inexistent. barley, fruit, peach and cherries, a little honey, peat. First nosing data is innacurate as the previous tasting sheet lacked of this field. Palate (88): . sweet, wood, honey, fruit: peach, mango, tropical fruits and barley. Bouquet data is innacurate as the previous tasting sheet lacked of this field. Finish (84): no finish. honey, vanilla and barley. Finish length is innacurate as the previous tasting sheet lacked of this field. So based on other whiskies I have already tasted I rate this Locke's 8 year with 84 points over 100. Nose (76): inexistent. many corn, grain, a little sweetness, grass, pineapple, raisins. First nosing data is innacurate as the previous tasting sheet lacked of this field. Palate (76): . sweet, honey, wood. Bouquet data is innacurate as the previous tasting sheet lacked of this field. Finish (84): no finish. some wood and honey. Finish length is innacurate as the previous tasting sheet lacked of this field. So based on other whiskies I have already tasted I rate this Bushmills Malt 10 year with 79 points over 100. Jameson 12 Year Old Special Reserve, with its robust full bodied flavour, is a warm welcoming handshake into the Reserves whiskey family. Originally known as '1780' after the year of foundation of the Jameson distillery in Dublin's Bow Street, it was renamed in 2002 to reflect its minimum 12 years of maturing in bourbon and most delectably in oloroso sherry casks. With its infusion of pot still with sherry casks, these brush strokes of distilling artistry make it the best known and most popular aged Jameson Reserve for any discerning palate. Jameson 12 Year Old Special Reserve is a whiskey of great character with complex flavours of toasted wood, spice and sherry that are superbly mellowed. 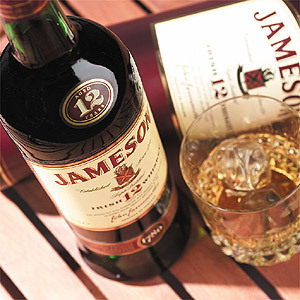 Its exquisite taste celebrates the enduring heritage of great Jameson whiskeys which began in 1780. Nose (80): inexistent. grain, barley, fruit, grapes. First nosing data is innacurate as the previous tasting sheet lacked of this field. Palate (84): . sweet, wood, grapes, honey and vanilla. Bouquet data is innacurate as the previous tasting sheet lacked of this field. Finish (84): no finish. vanilla and honey. Finish length is innacurate as the previous tasting sheet lacked of this field. So based on other whiskies I have already tasted I rate this Jameson 12 year Special Reserve with 83 points over 100. 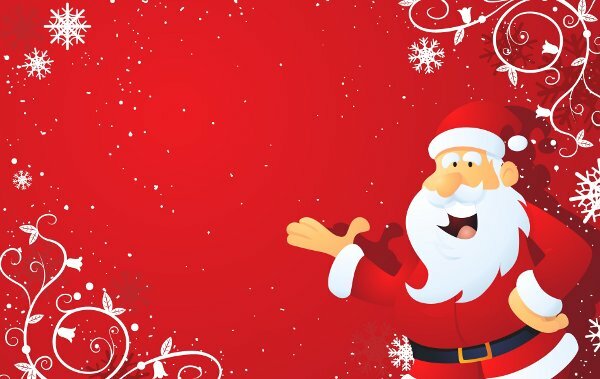 Happy Christmas to you all!. That Santa brings you all good whisky and great moments. Nose (68): inexistent. alcohol, vanilla, cherries and honey. First nosing data is innacurate as the previous tasting sheet lacked of this field. Palate (76): . light. grain, sweet, honey. Bouquet data is innacurate as the previous tasting sheet lacked of this field. Finish (76): no finish. grain and honey. Finish length is innacurate as the previous tasting sheet lacked of this field. So based on other whiskies I have already tasted I rate this Tullamore Dew Blend with 73 points over 100. Nose (68): inexistent. grain, sweet, somegrain, fruity, apple. First nosing data is innacurate as the previous tasting sheet lacked of this field. Palate (88): . grain and vanilla. it is not a sweet whiskey. Bouquet data is innacurate as the previous tasting sheet lacked of this field. Finish (76): no finish. grain. Finish length is innacurate as the previous tasting sheet lacked of this field. So based on other whiskies I have already tasted I rate this Bushmills Black Bush with 77 points over 100. Nose (72): inexistent. barley, malt sweetness, vanilla, alcohol, fruity. First nosing data is innacurate as the previous tasting sheet lacked of this field. Palate (84): . vanilla, honey, grain. it is moderately hot. Bouquet data is innacurate as the previous tasting sheet lacked of this field. Finish (76): no finish. honey and barley, sweet. Finish length is innacurate as the previous tasting sheet lacked of this field. So based on other whiskies I have already tasted I rate this Jameson with 77 points over 100. Irish whiskey is the whisky made in Ireland. The land where whisky production started is now recovering of a long journey in the dark. And they are here to stay. Big distillers like Jameson and Bushmills release from time to time little jewels and Cooley, although a young distillery, has won many awards and trophies so far. All irish whiskey is distilled three times, peat is rarely used on the malting process and usually has a high proportion of unmalted barley. These facts makes irish whiskey lighter, smoother and more grainy than Scotch. Irish whiskey is distilled through column stills and pot stills. Although it is still possible to find some pure pot stills whiskeys. 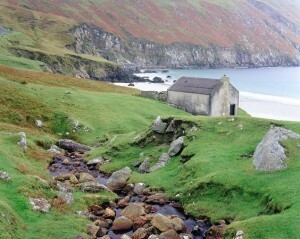 Ireland has now only four distilleries, of the almost thousands of stills that there were at late 19th century. Mammoth Irish Distillers Company, IDC, distillery at Cork. Produces Jameson, Powers, Paddy, Midleton, Redbreast, Greenspot and other whiskies. 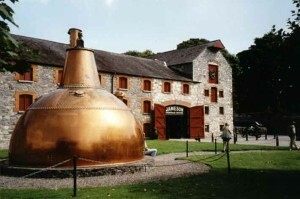 There are also many brands like: Tullamore Dew, The irishman, Knappogue Castle, etc. Irish pot stills are bigger than scottish ones and they put more emphasis on the process and the casks than in the skills of the Master Blender. The imposition of an excise tax in 1661 had the same effect as it did in Scotland, with the immediate production of poteen, an irish kind of newmake. The excise tax didn’t slow down the growth of the industry and by the end of the 18th century there were two thousands stills in operation in Ireland. Under British rule, Ireland whiskey production was export oriented and it outsold scotch whisky in most markets because of its lighter body. Over four hundred brands of Irish whiskey were sold in the USA in the late 19th century. The fall down of the Irish distilling industry can be explained by several facts. Ireland distillers were slow to respond to the rise of blended scotch whisky that was a lot of lighter than single malts, targeting the same market that irish whiskey were ruling then. The Prohibition Era in the USA hurt exports tremendously and most of the small distillers had to close its doors. The others were not ready to anticipate the Repeal and were caught short of supplies, making easy for blended scotch to take their markets. Great depression, trade embargoes between newly independent Republic of Ireland and the United Kingdom and the WWII caused further havoc among the remaining distillers. In 1966 three remaining distilling companies – Powers, Jameson and Cork – merged into a single company, Irish Distillers Company. Just six years later Bushmills joined IDC and all the distilleries of the island was under a single company hands. Three years later, in 1975, following the great rules of the market, to reduce costs and improve efficiency, a new mammoth distillery was built at Midleton, in Cork and all the production of irish whiskey was transfered there. Fortunately, in 1989, Cooley Distillery started producing malt and grain whiskey ( and of a great quality by the way ) breaking the monopoly of whiskey production in Ireland. Here are some bottles from my collection of Irish whisky. Some of them has tasting notes. Hoo! Hoo! Hooo! 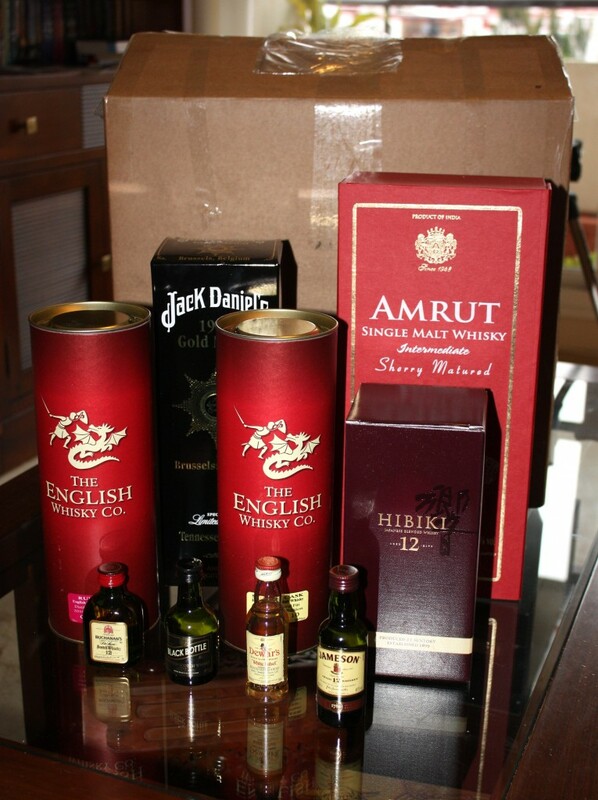 I am a step nearer to leave the world empty of whisky. 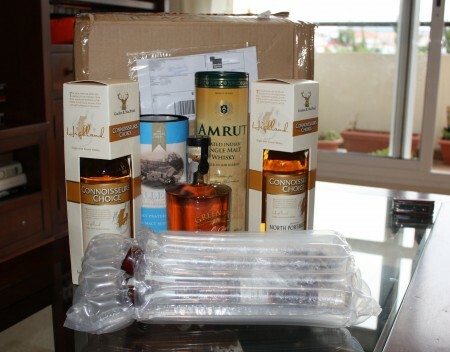 A good order from The Whisky Exchange arrived today. Whisky is a drink with a very powerful flavor and nose. Lots of fragances and aromas can be found in it. Learn what to expect. Like wine, nosing is a big part of drinking whisky. The nose tells us about what is about to come before we drink the whisky and it is together with the taste and the finish of the whisky what distinguish a good whisky of a great one. Nosing whisky can be a bit hard at the beginning until you get used to the alcohol in the nose. At first it will burn you and make your eyes tear, but on the end you will find one of the most rewarding experiences. But, where do these aromas came from? The type of barley, the kind of malt, the yeast used, how much the whisky ferment, at which temperature. All of it will give a different character to the beer. The type and shape of the stills is considered of vital importance of the final aromas and flavor of the whisky. 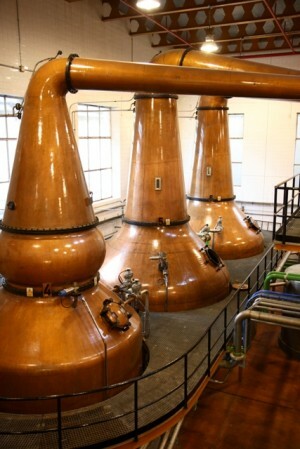 Pot stills usually impart more flavor than column stills. 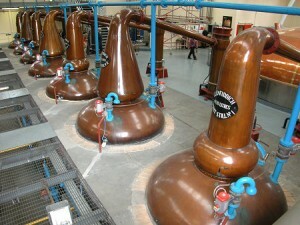 And between pot stills, the taller one create lighter spirits while the shortest ones create a more dense new make. Finally, the way the whisky matures impart a great amount of flavor to the whisky. The type of wood used in the barrel: american, spanish, french, japanese oaks. 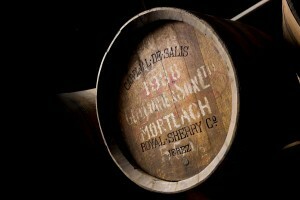 The size of the barrels, the bigger the slower the maturation and so the less flavor impart the wood to the whisky. 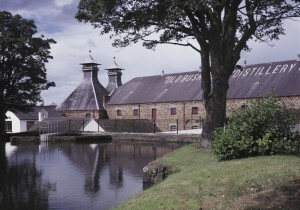 The temperature and humidity of the warehouses, extreme climates mature the whisky faster than softer ones. 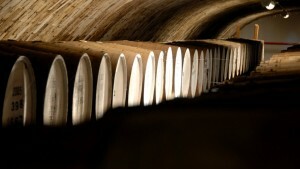 Additionally, the hotter the place the faster the whisky evaporate from the casks, this is known as angel’s share. While in Scotland it is around 2%-3% of the total of the cask, in Spain it lose 3% annually and Amrut has created its oldest whisky, Amrut Double Cask, at seven years old when the cask had already lost 60% of its content!. So, what kind of aromas can be found? Nosing skills are placed in the right hemisphere of our brain, while talking is on the left one. Nosing is so a creative process, everyone can nose, all of you, unless you have a medical problem can nose. If you think about it you will find that you can nose but it is really hard to say what you are nosing, you can even remember an aroma but it is impossible to explain it with words. Don’t panic! We are done that way, it is a feature, you need to workaround it. It is usually the first thing you will nose on a whisky. Smell and think what it remind you more of? There are many kind of spices but you won’t usually find curry on Whisky!. On whiskies, usually the older they are the more woody flavor they have. Peat a dead vegetation that died covered in mud. Not very romantic, not fuel-efficient but seems that there is a lot of it in Scotland. If a whisky is peated you will smell that for sure. It is a profile that not most of the people enjoy on the other hand. On whisky it is easy to find aromas of what it one was; beer. Fruits are usually sweet, so keep thinking, sweet like what? 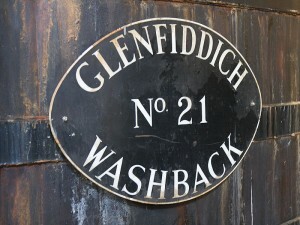 As you see there are many things that are not hard to find at whisky. But the most important thing that you have to know when you nose whisky is to have fun. Just try to find things and don’t get obsessed by what others says. Most of times, you will coincide on the basic profiles. Nose (88): inexistent. peat, iodine, salt, a little sweetness malt. First nosing data is innacurate as the previous tasting sheet lacked of this field. Palate (96): . sweet, many peat, barley, some peat. Bouquet data is innacurate as the previous tasting sheet lacked of this field. Finish (92): no finish. many peat and sea. Finish length is innacurate as the previous tasting sheet lacked of this field. So based on other whiskies I have already tasted I rate this Laphroaig 10 year with 92 points over 100. Busy month!. I am “throwing the house out of the window” spending beyond usual, but what the hell! It is Christmas. That and the fact that UK is increasing their VAT from 17.5% to 20% on Jan, 1 and I think there is something about increasing alcohol taxes too. 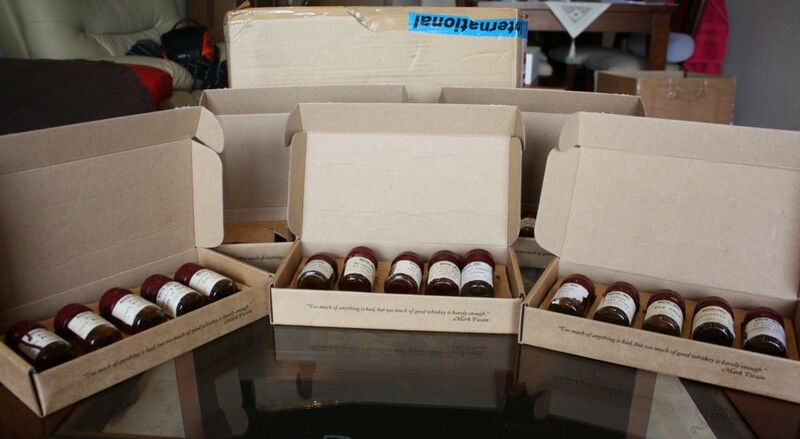 So this order, is from Master of Malt, with some bottles that I wanted and lots of samples. 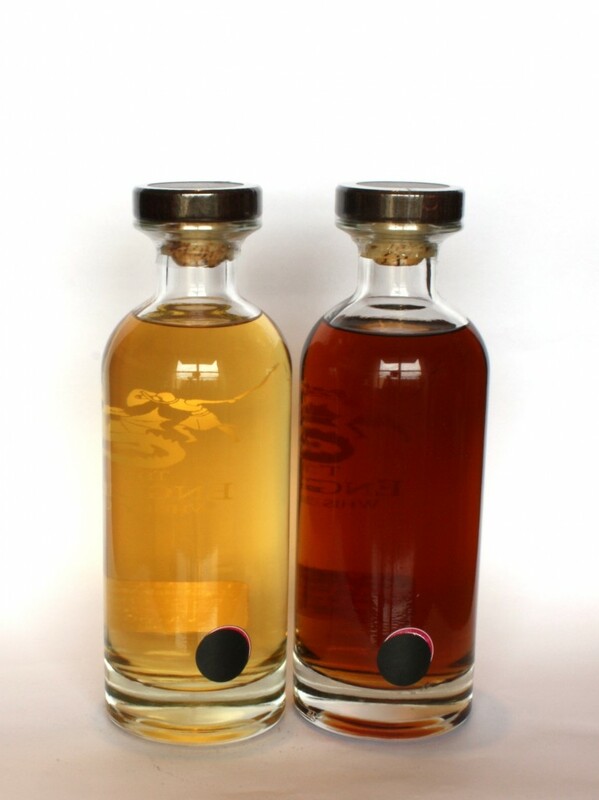 From Master of Malt's Single Cask Series, a single cask natural cask strength Array whisky. A Briny, Citrussy Malt - absolutely delicious. This is a truly enveloping whisky from the Isle of Arran. Perhaps one of the best Arran whiskies I have ever tasted. Nose (96): inexistent. fruity, strawberries, honey, wood. First nosing data is innacurate as the previous tasting sheet lacked of this field. Palate (96): . hot on the mouth, fruits, barley, wood, vanilla, honey, sweet. Bouquet data is innacurate as the previous tasting sheet lacked of this field. Finish (92): no finish. some honey, vanilla and barley sweetness. Finish length is innacurate as the previous tasting sheet lacked of this field. So based on other whiskies I have already tasted I rate this Arran 12 years old Single Cask Master of Malt with 95 points over 100. Nose (92): inexistent. sweet, fruits, peat. really hot. First nosing data is innacurate as the previous tasting sheet lacked of this field. Palate (96): . hot, salt, peat, wood, sweet malt, cake and berries. Bouquet data is innacurate as the previous tasting sheet lacked of this field. Finish (96): no finish. long, peat and cake, sweetness. Finish length is innacurate as the previous tasting sheet lacked of this field. So based on other whiskies I have already tasted I rate this Port Ellen 6th release 27 year with 95 points over 100. Nose (96): inexistent. sweet peat, floral, vanilla, cherries and berries, oak. First nosing data is innacurate as the previous tasting sheet lacked of this field. Palate (96): . sweet, oak, peat. hot, oily, complex. Bouquet data is innacurate as the previous tasting sheet lacked of this field. Finish (92): no finish. long, peat and sweet. Finish length is innacurate as the previous tasting sheet lacked of this field. So based on other whiskies I have already tasted I rate this Lagavulin 16 year with 95 points over 100. 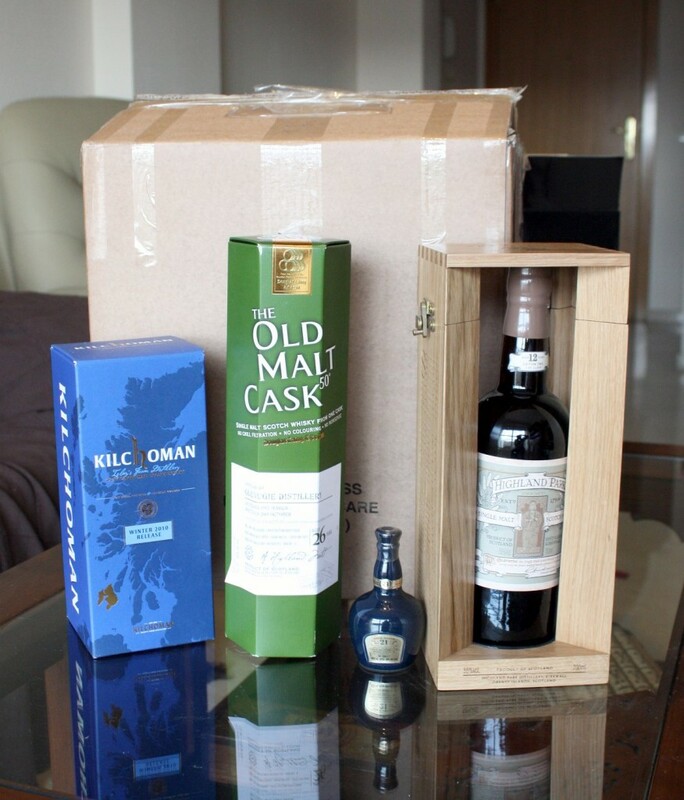 It's pungent smoky and maritime aromas and taste are best appreciated with two parts still water to one part whisky. Any cloudiness is normal in an unfiltered cask strength malt. If you want to know how Lagavulin tastes without any sherry, this is your answer. Simple pure peat muscle. I love it! Nose (92): inexistent. fruity, sweet, malt, floral, peat. First nosing data is innacurate as the previous tasting sheet lacked of this field. Palate (88): . hot! sweet, oak, fruity, peat. Bouquet data is innacurate as the previous tasting sheet lacked of this field. Finish (88): no finish. looong, peat and wood and somesweet. Finish length is innacurate as the previous tasting sheet lacked of this field. So based on other whiskies I have already tasted I rate this Lagavulin 12 year Special Reserve with 89 points over 100. Nose (84): inexistent. fruity, melon, a little peat, malt sweetness,a bit wood and salt. First nosing data is innacurate as the previous tasting sheet lacked of this field. Palate (80): . sweet and fruity, pears. Bouquet data is innacurate as the previous tasting sheet lacked of this field. Finish (84): no finish. long, peaty and hot. Finish length is innacurate as the previous tasting sheet lacked of this field. So based on other whiskies I have already tasted I rate this Caol Ila 18 Year Old Islay Single Malt Scotch Whisky with 83 points over 100.